Included as the first story in Jane Urquhart's Penquin Book of Canadian Short Stories (2007), it is also the title story from Alice Munro's collection of short stories by the same name. Somewhere (cottage? packed?) I have the collection, but am only able to read this story on it's own at the moment. Munro is a master, truly the finest, wordsmith. She can write a sentence to bring you to your knees with it's perfection, and create a scene with slight of hand. Barely on board the vessel and this seventeen-year-old whelp has taken on knowing airs, he has taken to contradicting his father. Fatique, astonishement and the weight of the great coat he is wearing prevent Old James from cuffing him. Agnes comes from a large Hawick family of weavers, who work in the mills now but worked for generations at home. And working there they learned all the arts of cutting each other down to size, of squabbling and surviving in close quarters. 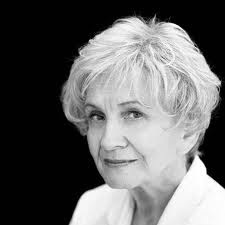 Alice Munro paints such vivid images, often just on the verge an extreme of comedy or surrealism. But, we can feel what she expresses happening in the minds of each of the characters as, for instance, the view of the homeland recedes and the tears and sadness turn to boredom and loss of interest. Each of the characters has a different reaction and Munro honours each: Agnes does not want to move herself, she has different pain to consider; Old James is loyal to his town but not a nationalist, his loyalties are parochial; it is a solemn and majestic moment for Walter, the narrator. 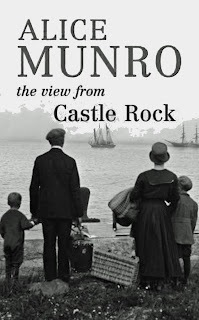 Munro can paint a picture, and the images endure because they are not merely physical, but emotional descriptions.